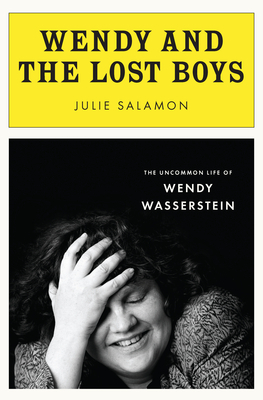 That was a common perception, according to Julie Salamon’s new biography, Wendy and the Lost Boys. People approached Wasserstein on the street again and again to say they knew she was writing about them. And Wasserstein, Salamon says, went along with the notion despite knowing the truth. The truth, it seems, was that Wasserstein had a tremendously troubled life and that much of that trouble – the brash and insensitive mother, the high-achieving siblings, the trail of gay men she loved and lost – made its way into her plays. All of that comes together in Salamon’s provocative book, and although it’s not likely to surprise those who followed Wasserstein’s glistening but dark social comedies, it paints a portrait of a woman who never made peace with herself or her world. 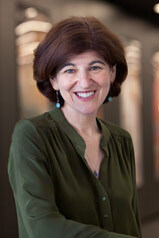 At first glance Wasserstein seemed to have it all. As the daughter of a successful New York ribbon manufacturer, she grew up well-off in Brooklyn and then on Manhattan’s Upper East Side, went to private school, to Mount Holyoke and then to Yale, where she rubbed shoulders with fellow students Meryl Streep, Sigourney Weaver, Albert Innaurato and Christopher Durang. Success came quickly: Her play Uncommon Women and Others, based on her years at Mount Holyoke, was staged off-Broadway in 1977, when she was 28, and went on to receive a PBS production with a cast including Streep, Alma Cuervo, Jill Eikenberry and Swoosie Kurtz. 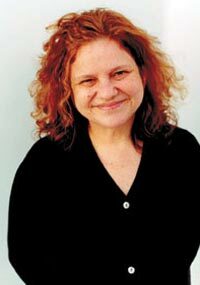 Wasserstein was 39 when The Heidi Chronicles transferred to Broadway, and it won her the Tony Award for best play and the 1989 Pulitzer Prize. That play, more than any other, crystallized Wasserstein’s focus in her audience’s mind – the bright, successful woman who makes her friends into a new kind of family but still feels adrift in a world that seemed to promise women more. And Salamon draws a deft picture of a woman plagued by ambition and insecurities, a woman forever struggling with her weight, a woman craving a man and children but sabotaging herself over and over with men who couldn’t fulfill those needs. The book’s title, with its allusions to Peter Pan, may go too far in making those connections: Wasserstein’s many gay male friends may not been able to fill the bill, but most of them (such theater luminaries as Durang, André Bishop, Terrence McNally and William Ivey Long) were and are hardly lost boys. Yet it’s compelling to watch – and at the same time very sad – as Wasserstein tried so hard to have a child, as she and Long (who is gay) went through years of tests and inseminations. She finally gave birth, at age 48, to daughter Lucy Jane, three months premature, and never recovered from the difficult delivery; Wasserstein also never revealed the father’s name. She suffered ever more debilitating illnesses and died of lymphoma at 55. Salomon has done a masterly job researching this too-short life: She seems to have interviewed nearly everyone who played an important role in Wasserstein’s story, and she presents what seems to be a fair description of a close but scarily dysfunctional family. It’s tempting to want to conflate Wasserstein with the vivid and charismatic women she created for the stage. Real life is always messier. Those of us who love her work may grieve for what life dealt her and be inspired by how she fought to shape it into what she thought it should be. This entry was posted in Celebrities, New York theater, Other arts, Playwrights and tagged Bruce Wasserstein, Christopher Durang, Isn't It Romantic, Julie Salamon, Meryl Streep, Sigourney Weaver, Terrence McNally, The Heidi Chronicles, Third, Uncommon Women and Others, Wendy and the Lost Boys, Wendy Wasserstein. Bookmark the permalink. Can’t wait to read it! I had the privilege of playing Heidi to Paul Wegman’s Peter many years ago, in a staged reading of The Heidi Chronicles for Playfest. Even though it was “just” a reading, it remains one of my most magical theatrical experiences. I’m glad that you enjoyed this biography of Wasserstien. Thanks for being a part of the tour!